ABC published their article on my birthday June 12, 2012, except I was so busy with work and other stuff, I finally had the time to deal with this issue. How can cannabis activists be sound asleep following the MAINSTREAM MEDIA DISINFORMATION even when they make smoking weed look bad! There is Evidence cannabis curing cancer Dr. Melamede is showing at Cannabis Science look for the link below. Even if there was no evidence cannabis cures cancer, there is no reason to not end cannabis prohibition by repealing the unconstitutional laws, Obama shows Americans don’t ask don’t tell was Repealed and also tells Americans he knows they aren’t stupid while showing Americans small progress while ignoring Cannabis fooling around with Americans. Why is a Canadian trying more than Americans to educate the masses about making America energy independent with renewable hemp fuel? Despite Industrial Hemp having 50,000 uses, Dupont, Rockefeller, Hearst, Mellon and their constituents cornered the industrial and medicinal market with political propaganda, to insure against the competition of hemp fuel and safe, non-addicting and biodegradable products. History is being written every day. Is the historical record going to show the lack of co-operation? 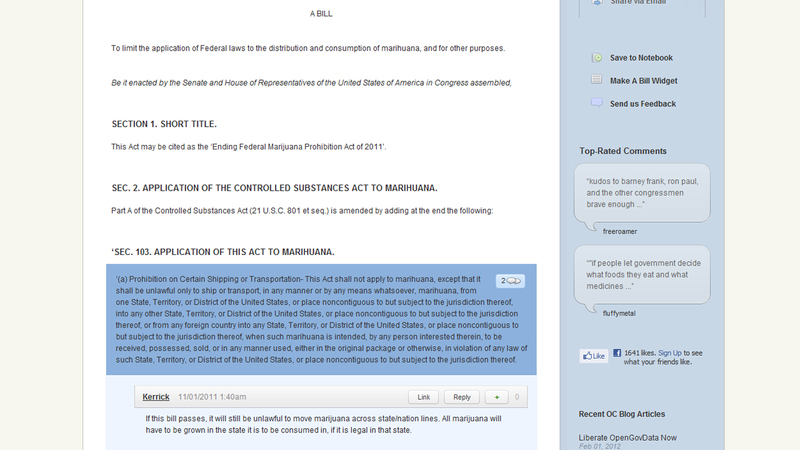 Or will 2012 be the year of co-operation to end prohibition and make America and other countries energy independent. Media blackouts are used, in particular, in times of declared war, to keep useful intelligence from the enemy. There is nothing wrong with smoking weed, I have asthma smoking weed opens up my lungs, allowing me to breathe. Medical marijuana pioneer Dr Lester Grinspoon spoke out against the oil instead of an actual investigation, he talked about Rick Simpson as if the education system was trying to actually educate students while the education system downplays cannabis while people suffer and die. There is something terribly wrong, please share the truth far and wide turn things around! There is so much evidence of the lack of co-operation to share the truth while so much phoney activism get so much support. Steve Jobs tried the other alternative cancer cures Except he never tried cannabis oil and Steve Jobs died of cancer. Phoenix Tears makers: Naphtha is Dangerous avoid using as a solvent, there are safer solvents to use. Not everyone has a lab to make the oil without any residue. Share this Video and help end cannabis prohibition, this applies to many countries! Newt Gingrich is selling repeal obamacare and repealing other laws in his campaign and people find that good but Newt Gingrich does not support repealing the laws that would end cannabis prohibition, Newt proposed the death penalty for cannabis years ago. I am having a very hard time getting by working a job and consistently having no money, last year I didn’t have a lot of work, and I got behind on my rent, so I’m still catching up. All my work is free, if you can help me with a donation, please email me at myles.ohowe@cogeco.ca I am able to accept international money order, Western Union, or cheque. I would love to have a better camera, im working with a low resolution cell phone camera. I am tired of drinking fluoride and the filter+shipping costs too much for me. I am not in this for money, but it could really help. Alex Jones lives in a mansion do you think he has enough money? Hundreds of dollars would be a miracle for me I live at my mothers working with limited tools! I am not asking for $500,000 like alex jones annual $500,000 money bombs. Cannabis is one of those subjects Alex Jones doesn’t speak truth because it would allow his viewers to reach accurate conclusions. Alex Jones has barely spoken about repealing other laws, so why not talk about repealing the unconstitutional cannabis laws or does he not care about human rights? Alex Jones reaches a large audience thats my point he doesn’t care to inform his audidence because of disinformation. Mainstream and alternative media make a lot of money and they ignore solutions, and so do people scamming people with fake, fraudulent charities, cancer societies and they don’t help by the fact the circus keeps going! I have been banned for sharing truth, and I have had massive censorship from mainstream and alternative media. It took 13 years to end alcohol prohibition, all these decades later it is time to turn things around! It should be law at local,state,provincial,national,international levels to deny Anyone the cannabis (hemp) plant for any reason or use, it is a fundamental violation of human rights to deny anyone access to the most superior resource on earth Hemp. Hemp is the most nutritional food source, the best medicine, strongest fiber better than cotton that uses no pesticides (cotton uses about half of the worlds pesticides) and so much more. Energy Companies and Corporations have a monopoly because the superior energy source and resource is outlawed by corruption. If cannabis prohibition ended so many new businesses and jobs would be created instantly. Everything made from toxic oil today, can be made from non-toxic hemp. Any limits or restrictions on hemp are preventing a free market. Would you want a license to grow vegetables? The idea of having a license for cannabis sounds like the Slave Master telling the slaves how many plants they can grow. Nobody has any right to dictate! A full repeal occurs where the entire Act is repealed because the law is doing more harm than the reasoning for the law. Legalized Medicinal marijuana is a scam because it discriminates and limits access to this harmless medicine that saves lives. Nobody dies or suffers injury from THC. Cannabis needs to be exempted from all laws practically everywhere, the only way to put the cartels out of business is to allow the cultivation, processing, transportation, distribution, sales, trade, sharing, possession, consumption and use of cannabis (hemp) for industrial, medicinal, nutritional and recreational purposes repealed. Nobody has any right to restrict anyone, any age, a harmless plant safer than drinking water. The war on drugs/cannabis won’t go away by setting limits on cannabis, or even blocking trade, sharing, sales of cannabis over the borders, at any level, they want more security for the police state, that only ensures there is a war on drugs and cannabis. If sharing or trade is allowed over the borders it means everything gets cheaper. The cartels want to control and fix the prices. I do not eat any meat, fish or dairy. No blood sacrifice rituals. The prohibition against marijuana/marihuana/Hemp/Cannabis was unconstitutional from its inception. Sorry for repeating information it is there for reference purposes, people complain if I do, and if I don’t put the information up there, people don’t know. Why take chances, please understand I am only repeating information because the majority of people don’t know truth. I have to try. What is better legalization or repealing the unconstitutional law that has filled our prisons with nonviolent cannabis users? The prohibition against marijuana was unconstitutional from﻿ its inception. Legalization seems to limit the public’s ability to be self sufficient and sustainable. We can repeal any laws and make them null and void so things will be like when George Washington grew Cannabis, except we have technology to help make things more efficient than ever! Many laws need to be repealed. Take action, even if you only send an email. Why is controlling and limiting our ability to grow cannabis more popular than repealing the law to make it null and void so we are free to grow as many plants as we want? Stop supporting corrupt mainstream or alternative media that ignore and censor truth! I want to be able to grow my own food, medicine, clean energy/fuel, fiber without being bullied by corrupt authorities just to stay in line with the “collective” by growing a limited amount of plants! Why is anyone wanting to limit a plant safer than drinking water? Some of us are tired of poisonous high energy prices and want to grow safe hemp for food, energy/fuel, fiber, medicine, hempcrete and so much more! Our number one need is oxygen. Hemp and bamboo are the two fastest growing plants on the planet. Both have a uniquely bright infrared signature, creating oxygen and breathing in CO2. Bamboo grows in tropical and semi-tropical zones. Hemp grows everywhere but the poles. The seeds can be pressed and used for diesel. Leaves and stalks can be fermented and used for fuel grade alcohol. 1800 Gallons of Ethanol Per Acre. Hemp harvests the most ethanol per acre compared to the alternatives, 2-10 times more than corn ethanol. Low THC hemp plants produce less seed and ethanol per acre compared to other strains. Some varieties mature in 60-90 days. Hemp also produces ozone while it grows. If the world switched to hemp for fuel, we could repair the southern ozone hole in less than two decades. Forests create oxygen. Ozone breathe in CO2, cool the air, attract moisture, create rain. We need them. They are our symbiots. Without them, we suffocate, are subject to droughts and weird weather. If China and the rest of the third world are to drive, we will surely run out of oxygen unless we totally switch to hemp for fuel. China severely needs to depollute now in the cities. Hemp grows in China. We need to switch fuels. Alcohol and hemp seed oil still burn oxygen, but create it while they are growing. Gasoline does not. In the 1930’s, hemp was stigmatized in a smear campaign by the petroleum, tobacco, alcohol, pharmaceutical, paper industries to insure against the competition of hemp fuel and safe, non-addicting and biodegradable products. The blind prejudice remains. If we and the other animals on the planet are to survive, we must see through this ignorance and correct the problem, low oxygen. This information can change the world, and the truth would spread like wildfire if people like Alex Jones would report on it. He still can every day, why not? I believe it to be morally wrong to ignore life saving information during times like this, let alone censor that information, especially when you can reach 15 million viewers a week, AND you preach about the “new”/old world order. We(humans) need all the help we can get! When 1 person tells 2-3 friends some information, it reaches large amounts of people. What kind of world do you want to live in? Follow the Science not the Hypocrisy. The world is in such a mess because the most superior resource on earth (Cannabis) is illegal. It is one thing to not know about the information to explain why some media do not report this information, for the most part many activists including myself have spent considerable time and energy to share truth, and we have been met with censorship and resistance from people claiming to be for truth. If cannabis was in any way able to help cancer patients it should be available to everyone without restrictions. Aparently Alex “Run From the Cure” Jones ego is too good to have to report to his large audience he reaches how to cure cancer. I wonder how many Alex Jones fans have cancer, know someone with cancer, or know someone who has died of cancer. Where is the Love? 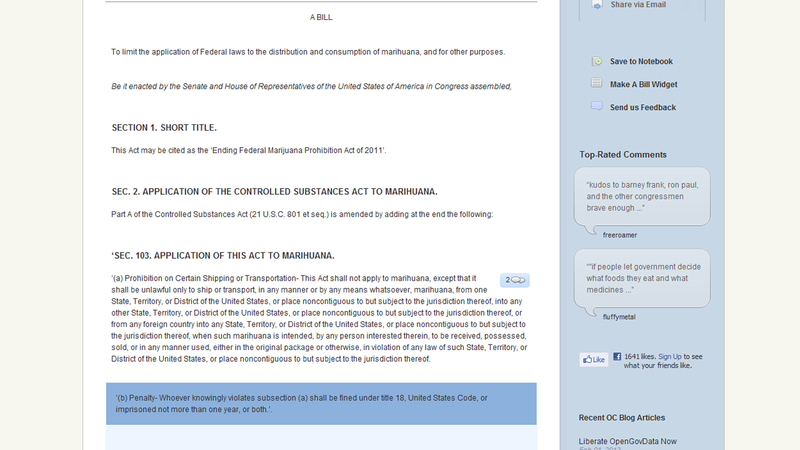 That is a Government website with a growing database of science cannabis cures cancer. I have had censorship from all forms of media. Check out my blog and youtube channel for evidence. The medical industry, and most industries that are the biggest profit makers, are only making massive profits selling poison, because cannabis(hemp) is illegal. If it was not illegal, anybody could just grow hemp sell food, fiber, fuel, 50000+ different products can be made from hemp. WASHINGTON, DC -Crimebeat- “Late Friday night the White House issued a typical evasive rejection of the several marijuana legalization petitions that collected more signatures than any other issue on its “We the People” website,” stated retired Baltimore narcotics cop Neill Franklin. “Even though recent polls show that more voters support marijuana legalization than approve of President Obama’s job performance, the White House categorically dismissed the notion of reforming any laws, focusing its response on the possible harms of marijuana use instead of addressing the many harms of prohibition detailed in the petitions”.